iHeart Media’s third quarterly report of 2016 shows a revenue of $847 million (a 2% increase from 2015). Even though their revenue increased, their income before depreciation was close to 2015 at $326 million. Registered users for their streaming application increased by 35 percent (75 million total users), and usage of their application increased by 21 percent in quarter three . iHeart Media’s flat income comes from Clear Channel Outdoor Holdings, “one of the world’s largest outdoor advertising companies, operating in some 30 countries across North America, South America, Europe and Asia-Pacific,” which saw an OIBDAN decrease of 13 percent for their international market . iHeartRadio needs its new streaming services, iHeart Radio All Access and Plus to do well so that it does not fall too far behind Pandora and Spotify. iHeart’s users equate to 14.4 percent of Pandora’s and 23.3 percent of Spotify’s . Even though iHeart is lagging behind Spotify and Pandora, their new take and improvement of radio with iHeart Radio All Access could close the gap between its competitors. “About Us.” About Us. IHeartMedia Inc., n.d. Web. 27 Nov. 2016. IHeart Company Family. Digital image. IHeartMedia. IHeartMedia Inc., n.d. Web. 27 Nov. 2016. Clear Communications Outdoor. Digital image. MediaVillage. MediaVillage, n.d. Web. 27 Nov. 2016. Sisario, Ben. “Clear Channel Renames Itself IHeartMedia in Nod to Digital.” The New York Times. The New York Times, 16 Sept. 2014. Web. 29 Nov. 2016. “Investor Relations for Clear Channel Outdoor Holdings (CCOH).” Clear Channel Outdoor Americas. Clear Channel Communications, n.d. Web. 27 Nov. 2016. Clear Channel Outdoor Holdings, Inc. Reports, and Results For 2016 Third Quarter. 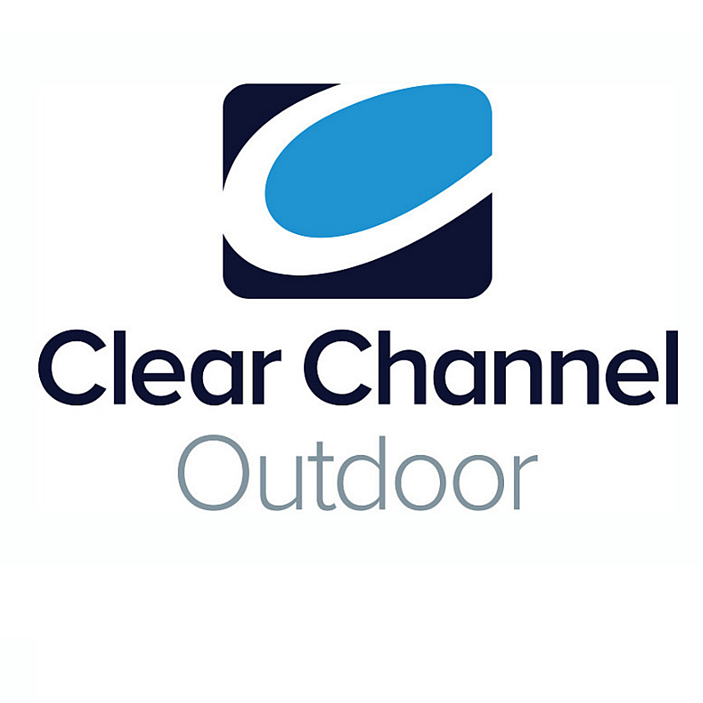 “Clear Channel Outdoors Earnings Call Q3.” CLEAR CHANNEL OUTDOOR HOLDINGS, INC. REPORTS RESULTS FOR 2016 THIRD QUARTER (2016): n. pag. IHeartMedia Inc. Clear Channel Communications, 9 Nov. 2016. Web. 27 Nov. 2016. Zedd – I Want You To Know Ft. Selena Gomez (Live at the Z100 IHeartRadio Jingle Ball 2015). Perf. Selena Gomez and Zedd. YouTube. Selena Gomez Canada, 12 Dec. 2015. Web. 27 Nov. 2016. “IHeartMedia Rings in the Holiday Season with the Return of Its Iconic 2016 National “iHeartRadio Jingle Ball Tour Presented by Capital One”.” IHeartMedia Rings in the Holiday Season with the Return of Its Iconic 2016 National “iHeartRadio Jingle Ball Tour Presented by Capital One” | Business Wire. BusinessWire, 11 Oct. 2016. Web. 29 Nov. 2016. IHeart Radio All Access Promo. Digital image. BetaNews. IHeartMedia Inc., n.d. Web. 27 Nov. 2016. McAlone, Nathan. “The Biggest Radio Powerhouse in the US Just Took Aim at Apple and Spotify with a New Service.” Business Insider. Business Insider, 23 Sept. 2016. Web. 29 Nov. 2016. “IHeartRadio Hits 92 Million – Radio Ink.” Radio Ink. RadioInk.com, 10 Nov. 2016. Web. 29 Nov. 2016. “IHeartMedia 2015 Third Quarter Results.” 1998.59 (1998): n. pag. IHeartMedia. IHeartMedia Inc., 5 Nov. 2016. Web. 27 Nov. 2016. “Outdoor Advertising.” Outdoor Advertising. IHeartMedia Inc., n.d. Web. 27 Nov. 2016. “IHRT Stock Quote – IHeartMedia Inc. Cl A Stock Price Today (IHRT:OTC) – MarketWatch.” MarketWatch. Marketwatch, 29 Nov. 2016. Web. 29 Nov. 2016. “Triton Digital – Press Release – Triton Digital Releases August 2015 Top 20 Ranker.” Triton Digital. Triton Digitial, n.d. Web. 27 Nov. 2016. Bob Pittman. Digital image. AdvertisingHall. Advertising Hall, n.d. Web. 27 Nov. 2016. “Our Team.” Our Team. IHeartMedia Inc., n.d. Web. 27 Nov. 2016. “Iheartmedia+stock – Google Search.” Iheartmedia+stock – Google Search. N.p., n.d. Web. 29 Nov. 2016. IAC began in 1986 and was originally called the Silver King Broadcasting Company and was owned by the Home Shopping Network. Later in 1992, it became its own publicly traded company. The company went through a series of name changes from USA Networks, Inc. to USA Interactive, before finally changing it to IAC/InterActiveCorp in July of 2004. Since that time IAC/InterActiveCrop has been acquiring a variety of companies in a very wide array of different fields. They divide their holdings into four main groups: Search and Applications, The Match Group, Media, and eCommerce. Each of these groups has a plethora of companies, as seen in the image below, all of which influence the decisions and finances of InterActiveCorp as a whole. This period* has seen a lot of changes for IAC, as well as its subsidiaries. One major one was that Bonnie Hammer, the chairman for NBCUniversal Cable was appointed to the board of IAC in September by IAC’s CEO Barry Diller, who says “She’s a superb businesswoman, programmer and brand builder.” With her expertise in the television industry, she will be able to give the company insight into growing audiences and as a very influential social activist she will be able to attract some positive press for IAC, especially in light of the drama surrounding Tinder’s executives. everything was deemed confidential so much of what happened is unknown to the public. Mateen left the company after being suspended in July. Now, in November Tinder’s co-founder and CEO Sean Rad has been forced to step down by IAC. The news came to him while he was at the Forbes 30 Under 30 Summit in October, where he was about to announce that Tinder was going to monetize. Both of these things have big implications for Tinder and IAC. The app has grown 600% in the last year and has 30 million users who collectively check out 1.2 billion other users. With the new premium model, revenue predictions for 2015 are about $150 million. Rad, who will remain on the board of Tinder, is working with Matt Cohler, a partner at Benchmark and a newcomer to the Tinder board, to find a new CEO for the company. In terms of other finances, IAC released a third quarter earnings report for 2014 at the end of October. According to Yahoo! Finance, the company earned about $30 million more than analysts had predicted for this quarter. Overall, it has had 3% growth in the last year. In The Match Group, revenue increased by 12% and in the eCommerce segment, HomeAdvisor’s revenue grew 20%, with an overall growth of 14% in the segment. In the third quarter Search & Applications decreased 3% in the last year. Meanwhile, in the Media segment of IAC, Vimeo revenue increased by 30% and now has more than 530,000 subscribers; however, overall the Media revenue went down 1% in the last year. Very recently in early November, Mindspark (an IAC subsidiary) acquired Apalon, a company that develops applications for Apple and Google Play, and whose apps have had more than 100 million downloads in the past year. “The combination of Apalon’s world-class mobile app development skills with Mindspark’s proven ability to distribute digital applications at scale is a huge differentiator and strategic advantage in the marketplace,” said Eric Esterlis, co-president of Mindspark. The two companies will complement each other and will help fight the decrease in revenue in the Search and Application segment of IAC. Another revenue booster for that segment is the redesign of About.com’s website. The site hadn’t been redesigned since 2007, so the re-launch of the site in September has had some profound effects on users. On average they stayed on the site 24% longer and viewed 18% more articles than before the redesign. Additionally, the previous design was built to come up higher in Google searches to increase cost-per-click ad revenue; however, because Google’s algorithm is always changing and to decrease dependency on this type of ad, the site is now making more deals with advertisers to sponsor different sections of the site. In the eCommerce segment, the EVP and CFO of Shoebuy.com, John Foristall was selected as an honoree “40 Under 40” award, which is given out annually by the Boston Business Journal to people who have made a major impact in their field. In addition, the company partnered with Rodgers and Hamerstein’s Cinderella to launch a limited collection of special occasion footwear inspired by the show. The cooperation helped increase the overall revenue of the segment. In the media segment, Aereo, an online streaming service that offered live and recorded programs, filed for bankruptcy protection in November, after losing a major court case. The company was said to have violated programming copyright protections, according to a Supreme Court decision. The startup was beginning to revolutionize broadcast TV viewing, and even though it ended up failing, it will most likely lead to future attempts of a similar service. Up until the past few years, Vimeo, another one of IAC’s media holdings, was having a hard time figuring out how to monetize, other than through subscription users. Now through Vimeo On Demand, their on demand platform, they have an additional revenue stream. In October, they made deals with two big YouTube producers, Phil DeFranco and the Orchard online network, which put their content onto Vimeo as well. Additionally, Vimeo just had their first original series, “High Maintenance,” premiere in November. According to Indiewire, the show is the future for web series and indie television. The series directors were in ongoing talks with FX to bring the show to cable, but ended up cancelling because they didn’t want to lose creative control. In light of that they made a deal with Vimeo for the financing. As Vimeo caters more towards industry professionals, the high production value show has found the perfect home and will bring more revenue to the site. Even though the show has always been on Vimeo, they are now promoting it; and they have given the series it’s own channel and have begun charging 1.99 per episode. This doesn’t seem to be a deterrent because according to Vimeo CEO Kerry Trainor, “High Maintenance” made more money in the first two days after it released and charged for episodes than it would have made with YouTube ad sales over the past two years. High Maintenance // Stevie from Janky Clown Productions on Vimeo. Overall, IAC/InterActiveCorp has had a very busy semester with lots of acquisitions and new deals being made to stay up to date in today’s ever changing fast-paced media driven world. As the year comes to an end, Ask.com recently released the top searches of 2014, marking a comeback in the struggling site. Looking ahead, in all four sectors of the company, IAC plans to maintain and increase its status as the 13th largest network in the world. Today, Scripps Networks Interactive develops lifestyle media across the platforms of cable television, digital, mobile, and publishing. Home of HGTV, Food Network, The Cooking Channel, Travel Channel, DIY Network, and Great American Country, SNI reaches viewers all over the world with the goal of changing and improving everyday lifestyles. SNI’s 2014 Upfront event in NYC revealed 35 new primetime and daytime series for the fall seasons of Food Network and Cooking Channel . Among the new shows were Food Network’s Bobby Flay Fit, The Big Tip, and Chopped Teens Tournament and Cooking Channel’s Proper Pub Food and Compete to Eat. The channels are showing trends of gravitating toward competition and travel shows that take the audience out of the traditional home/kitchen. DIY Network and HGTV also premiered many new series and specials this fall. Among the lineup for DIY were The William Shatner Project, documenting renovations to the famous Star Trek actor’s house, The Property Brothers at Home, and Amish RENOgades, featuring Amish craftsmen as they travel outside of their community and learn to navigate the modern world and work on home improvement projects. In October 2014, Scripps began offering its employees voluntary buyouts as a way to cut costs. “Each department will address its specific budget targets as they see fit. However, it is likely that this effort to bring costs in line with revenue will include the elimination of activities, projects and positions. We plan to announce any project and/or job eliminations resulting from this budget process by the end of the year,” said CEO Kenneth Lowe . DIRECTV was founded in 1990 and is currently one of the world’s largest digital television services. The company provides services to over 32 million customers in the United States and Latin America (20 million in the United States and 18 million in Latin America). These services include HD, 3D and Video-On-Demand programming. DIRECTV is known for their #1 ranking in customer service as well as their sports programming which includes the NFL Sunday Ticket (see below “Deals and Acquisitions” for more details) . DIRECTV announced their 2014 3rd Quarter results on November 6th, 2014 . The results showed a revenue growth of 6%, making their total revenue $8.4 billion. This revenue growth was due to an increase in U.S. ARPU (Average Revenue Per User) and DIRECTV Latin America (DTVLA) subscriber growth. However, this increase in revenue was offset by a lower ARPU at DTVLA. The lower ARPU at DTVLA was due to unfavorable changes in exchange rates. Their current stock price (as of December 1st, 2014) is at $87.37 per share. This price has a year-to-date increase of 26.51% and a three-year increase of 89.69% . Although financials have shown an increase it is important to note that DIRECTV has sustained subscriber loss in both the United States and Latin America units. This subscriber loss has been attributed to their credit policies and a rise in competition  . DIRECTV has three main competitors: Comcast, Dish Network and Time Warner Cable . Comcast is their biggest competitor ranking number one in the pay-TV market with 22.5 million video subscribers (DIRECTV holds about 20 million video subscribers) . There is currently a proposed merger between Comcast and Time Warner Cable (see Tuned In  and The Eyes Have It  graphics under “Deals and Acquisitions). This merger is still under consideration by the FCC, but if approved will put Comcast even further in the lead of the pay-TV market . On September 1st, 2014, a negotiation dispute between Raycom Media and DIRECTV caused a 7-day standoff that resulted in a blackout for some DIRECTV subscribers. 43 Raycom stations, including channels with NFL programming, went dark on DIRECTV. The dispute was resolved before the Sunday NFL game and all channels were restored . In May of 2014 AT&T announced that it planned on acquiring DIRECTV with a $48.5 billion merger. If combined, DIRECTV and AT&T will have more than 26 million subscribers in the United States. This would put DIRECTV ahead of Comcast (22.5 million subscribers as of Fall 2014) in the market for pay-TV. However, if the Comcast and Time Warner Cable merger occurs, DIRECTV would still remain second-largest. Looking at the graphic “The Eyes Have It ,” if the DIRECTV and AT&T merger is made they will have a total of 25.8 million subscribers, unfortunately that number will remain dwarfed by Comcast if the Comcast-Time Warner Cable merger occurs bringing them up to 33.1 million subscribers (note that The Eyes Have It graphic only shows data up to 2013, data not referencing The Eyes Have It are current). However, both mergers have yet to be approved by the Federal Communications Commission (FCC) . Both mergers have been under heavy consideration by the FCC because of the massive amount of subscribers each merger affects. If either or both merger are approved the pay-TV market competition will rise dramatically. On September 25th, 2014, DIRECTV stockholders approved the merger with AT&T in a vote that represented 77% of all outstanding shares. The voting results showed that more than 99% of votes casted were in favor of the merger agreement . To learn more about the AT&T and DIRECTV merger watch a news broadcast here. Video courtesy of:  www.wsj.com. On October 1st, 2014, DIRECTV renewed it’s deal with the National Football League (NFL) for the NFL Sunday Ticket. The NFL Sunday Ticket includes the showing of all out-of market games (regular season games outside of their local markets) as well as real time stats . The NFL Sunday Ticket has been given exclusive rights to DIRECTV and is being extended for 8 years. The price was confirmed at $1.5 billion per season which is a 50% price increase compared to what DIRECTV paid in previous years. DIRECTV produces revenues of about $600 million from the NFL Sunday Ticket with around 2 million subscribers. This revenue is far below what they are now paying for the rights of the NFL Sunday Ticket programming . A possible reason for DIRECTV’S agreeing to a dramatically increased price is their proposed merger with AT&T (see above paragraph). If DIRECTV did not renew it’s deal with the NFL for the Sunday Ticket, AT&T was allowed to walk away from the deal without any penalties  . In early November, AMC Networks threatened to go dark on DIRECTV if negotiation standards are not met. With their hit show The Walking Dead halfway through its season a blackout would be dangerous for DIRECTV business. The contract is set to expire in 2015 and there have been warnings aired on the show that DIRECTV subscribers may not continue to receive programming from AMC . However, DIRECTV has stated that subscribers will be able to view every episode of the upcoming season of The Walking Dead in a public promise on their website . DIRECTV and Guest-tek announced a strategic relationship on November 13th. This relationship expands technology and programming for hotels and guests . DIRECTV is now offering 4K Television. 4K television, also known as Ultra HD, is the latest HD technology and is called 4K because of the image width (4,000 pixels) . DIRECTV is the first and only multi-channel video provider to offer 4K/Ultra HD TV. To receive DIRECTV 4K programming, subscribers need the DIRECTV Genie HD DVR and a DIRECTV 4K ready television. Currently the only DIRECTV 4K ready TV’s are the 2014 Samsung Ultra HD/4K television models . The DIRECTV 4K programming was released on November 14th and currently has about 20 movie titles to choose from . DIRECTV has also been creating some of their own content programming since 2013. Most recently, a new drama called “Kingdom” starring Jonathan Tucker and Nick Jonas has had a 20-episode renewal a week after its premiere. The show is about a mixed Martial Arts group living in Venice, CA. “Kingdom” has been their most-watched series on their Audience Network . The DIRECTV Audience Network is devoted to their original programming . Watch the Kingdom series trailer here. Video courtesy of:  www.youtube.com. Directed by Peter Chelsom, “Hector and the Search for Happiness” tells the story of a psychiatrist who feels guilty that his patients aren’t getting happier, leading him on a quest to understand the true meaning of happiness. (12) The movie was only released to 183 theaters and made $938,954 in revenue. (13) It garnered negative reviews, receiving only 31% on Rotten Tomatoes. Directed by Roger Donaldson, and staring Pierce Brosnan, Luke Bracey, and Olga Kurylenko, “The November Man” is an action thriller about a retired spy who must come out of retirement for a personal mission. It is based off the novel “There are No Spies”, by Bill Granger. (15) So far, it has made $32 million dollars globally in box office revenue. It’s budget is disclosed, and came in sixth for its opening weekend in late August, way behind “Guardians of the Galaxy” and “Teenage Mutant Ninja Turtles”. (16) It received negative reviews, with only 34% on Rotten Tomatoes. On October 2nd, Relativity Media announced that One West Bank Group and Dune Capital Management is set to purchase Elliot Management’s stake in Relativity Media, along with Ryan Kavanaugh himself. The purchase is led by Ryan Kavanaugh, One West Bank Group and Dune Capital Management’s founder, Steven Mnuchin, along with some other unnamed private investors. (25) This investment shift may hint at secret preparations for Relativity’s IPO release in the next year. Kavanaugh will still be the largest individual shareholder of the company and no specific financials were released. (26) Steven Mnucin is no stranger to Hollywood. He is known for helping to finance “Gravity” and “Avatar”. Directed by Lee Daniels, this movie will tell the story of Latoya Ammons and her family, whom have been possessed by demonic spirits for the past two years. Turn Left Productions, with owners Jackson Nguyen and Todd Crites will finance, produce, and distribute the film along with Relativity Media and producer Bruce Cohen. (33) This will be an interesting change for Lee Daniels, known for “The Butler”, who is now taking a turn at making a thriller. (1) Relativity Media Logo From 2013. Retrieved 30 November 2014. (2) Relativity Media Contact Information From 2014. Retrieved 30 November 2014. (3) Founded From 2014. Retrieved 30 November 2014. (4) Relativity Media About From 2014. Retrieved 30 November 2014. (5) Relativity Media Executives From 2014. Retrieved 30 November 2014. (6) Relativity Media Profitability From 2014. Retrieved 30 November 2014. (7) Tight Budgets Retrieved 30 November 2014. (8) Monte Carlo Approach Retrieved 30 November 2014. (9) IPO Retrieved 30 November 2014. (10) 2014 Films From 2014. Retrieved 30 November 2014. (11) Hector and the Search for Happiness Movie Poster From 2014. Retrieved 30 November 2014. (12) Hector and the Search for Happiness Synopsis From 2014. Retrieved 30 November 2014. (13) Hector and the Search for Happiness Box Office From 2014. Retrieved 30 November 2014. (14) The November Man Movie Poster From 2014. Retrieved 30 November 2014. (15) The November Man Synopsis From 2014. Retrieved 30 November 2014. (16) The November Man Box Office From 2014. Retrieved 30 November 2014. (17) The Best of Me Movie Poster From 2014. Retrieved 30 November 2014. (18) The Best of Me Synopsis From 2014. Retrieved 30 November 2014. (19) The Best of Me Box Office From 2014. Retrieved 30 November 2014. (20) The Best of Me Bollywood From 30 October 2014. Retrieved 30 November 2014. (21) Beyond the Lights Movie Poster From 2014. Retrieved 30 November 2014. (22) Beyond the Lights Synopsis From 2014. Retrieved 30 November 2014. (23) Beyond the Lights Box Office From 2014. Retrieved 30 November 2014. (24) Matt Alvarez From 12 August 2014. Retrieved 30 November 2014. (25) Relativity Media Purchase From 2 October 2014. Retrieved 30 November 2014. (26) IPO Holdings From 2 October 2014. Retrieved 30 November 2014. (27) Blumhouse Productions Logo Retrieved 30 November 2014. (28) Lazarus From 4 November 2014. Retrieved 30 November 2014. (29) Not Without Hope Book Cover Retrieved 30 November 2014. (30) Not Without Hope Synopsis Retrieved 30 November 2014. (31) Not Without Hope Development From 10 October 2014. Retrieved 30 November 2014. (32) Lee Daniels Retrieved 30 November 2014. (33) Demon House Development From 12 November 2014. Retrieved 30 November 2014. 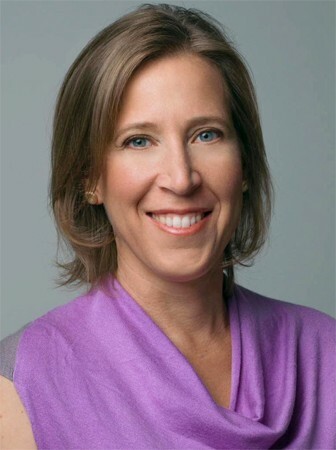 Susan Wojcicki Named New CEO of YouTube: Susan Wojcicki, one of Google’s earliest employees and former Senior Vice President of Ads and Commerce, became the new CEO of YouTube in February of 2014. The 45-year-old mother of four replaced Salar “SK” Kamangar, who was the CEO of YouTube for just over three years. Before that, Salar ran day-to-day activities at Google and took over the CEO position from YouTube co-founder Chad Hurley in 2010. 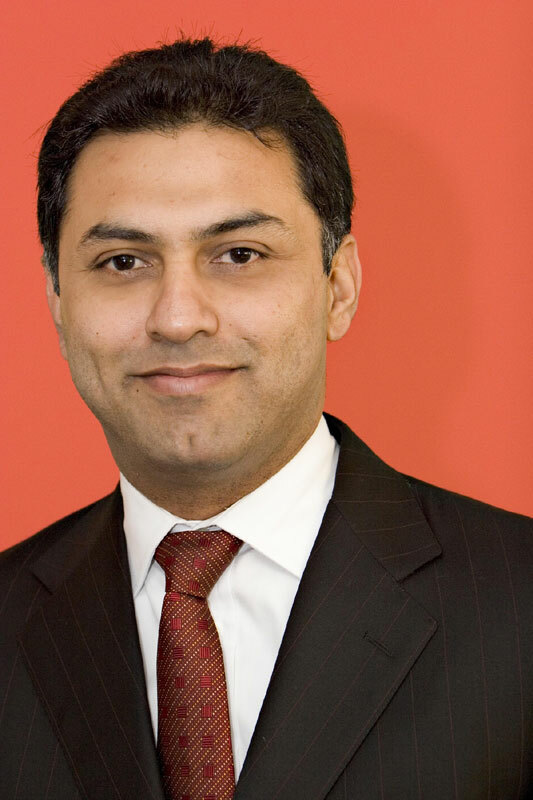 Kamangar now stands as the Senior Vice President of YouTube and Video for Google. Disney Buys Maker Studios: The Walt Disney Company completed a deal on March 24, 2014 to pay $500 million to acquire Maker Studios. The deal could end up closing for as much as $950 million if specific growth targets are met by Disney. Maker Studios is a YouTube multi-channel network that produces high-quality videos for some of the most “YouTube famous” users on the site such as PewDiePie and channels such as Epic Rap Battles of History. Financed by venture capitalists and grants from YouTube, Maker Studios now operates over 55,000 channels, boasts 380 million subscribers and 5.5 billion views per month. It’s not unclear why Maker Studios looked desirable to Disney. The YouTube video supplier can help promote Disney’s many characters and franchises to a young target audience. Maker can also serve as an example of how to successfully interact with the “raised-on-the-Web” generation. When Maker succeeds, YouTube succeeds as well. This recent acquisition was a huge win for the YouTube, Maker and Disney families. In 1979 Galavisión was the first spanish-language cable network to launch nationwide. During the 1980’s Hallmark Inc. and it’s minority partner First Chicago Venture Capital bought the Spanish International Network television stations, which included Galavisión. 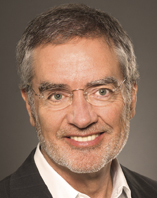 The new owners renamed the Spanish International Network to what is now known as Univision Network. These numbers insinuate that Univision Deportes Network is the fastest growing Spanish-language sports channel on the air. Since the recent Time Warner agreement, UD currently reaches 35 million households . The UDN surpasses all the other Spanish-language sports networks in various aspects. In the 2013 third quarter, Univision’s sports network broadcast more live sporting events than it’s Spanish-language competitors. It reportedly aired 176 live events, which is more than both ESPN Deportes and Fox Deportes. The Univision Deportes app will give fans a rare soccer experience by providing them with live streaming and VOD content of Liga MX, the Mexican National Teams and the 2014 World Cup, which are all considered to be some of the most popular sports properties worldwide. . The app will also give sports fans 24/7 worldwide soccer coverage, which includes sports news updates, real-time scores and stats, videos and photographs of all the important soccer tournaments and leagues around the world. HSN, the home shopping network, has partnered up with Univision Communications to reach a large amount of the hispanic market. The three-year partnership includes the development of a new shopping portal called Boutique Univision on Univision.com. Boutique Univision offers electronics, fashion beauty, home decor and cookware products. The shopping portal will also include popular brands such as Vince Camuto, Samsung, Apple, Curtis Stone and Lancôme. These products and brands have been specifically selected for Hispanic costumers. Promotions for the online boutique began last Thursday (Nov. 14), with popular HSN host Lesley Ann Machado as a special guest on Univision’s morning show “Despierta América.” During the show, Machado and original host Maggie Jiménez announced the creation of Boutique Univision. HSN has also been promoting the new portal on its network. HSN featured live feed of the announcement during a segment that included chef Lorena Garcia. Jiménez was a guest on the HSN show “Beauty Report” and discussed the fashion and beauty products available on Boutique Univision. Throughout the broadcast of “Lo Que La Vida Me Robo” fans have access to the main characters of the telenovela through a digital correspondence feature, which allows them to become active participants in every new plot twist . Additional content related to the telenovela is also made available to fans. Another way for fans to gain access to exclusive content is through Univision apps but only users who opt to sync up with the Toyota experience will gain access. NBCUniversal is a major media company owned by the Comcast Corporation. With headquarters in world-famous Rockefeller Center, NBCU owns and operates a variety of media outlets across many different platforms, including broadcast and cable television, film, and digital media. NBCU’s content is distributed around the world. NBCUniversal has a variety of holdings in both broadcast and cable television. It owns the NBC broadcast network and the Telemundo network, airing popular programs such as NBC Nightly News, Today, Saturday Night Live, and The Office. NBC also owns and operates TV stations in some of the largest markets in the country, including New York, Los Angeles, and Chicago. NBCU’s cable holdings include the NBC Sports Network, MSNBC, CNBC, USA, E!, Bravo, and The Weather Channel. NBC also owns the broadcast rights to the Olympics, NHL and NFL games, and many other major sporting events. NBCU owns Universal Pictures, one of the Big Six major film companies. Universal is famous for movies such as E.T. : The Extra-Terrestrial, Jurassic Park, Jaws, and the Bourne series . The company also owns Focus Features, which is Universal’s art, foreign, and independent film division. NBCU also owns Universal Parks and Resorts, with full ownership of the parks in Los Angeles and Orlando and part ownership of locations in Japan and Singapore. NBCUniversal owns multiple digital and online companies, including NBC.com, Fandango, and iVillage. It also is part of a joint-venture in Hulu, the online streaming service. For more information on NBCUniversal’s executives, click here. In the broadcast television market, NBC’s main competitors are the other Big Four major networks, which are ABC, CBS, and FOX. However, cable viewership is quickly growing, which means NBC also competes with basically every television station for viewers and advertising dollars. NBCUniversal was officially founded in 2004, when NBC and Universal merged into one company. At the time of the merger, Vivendi and GE shared ownership of the company. In 2009, GE and Comcast announced plans to create a joint venture out of NBCUniversal’s companies and Comcast’s cable holdings. The plan was finalized in early 2011, with Comcast taking a majority stake in the company. In early 2013, Comcast announced it would buy GE’s 49% minority stake, a $16.7 billion deal which allowed them to assume 100% ownership of NBCUniversal . 2012 was a successful year for NBCUniversal across the board. The company earned $23.8 billion in total revenue, an increase of nearly $2.7 billion, or 12.7%, from 2011. NBCU’s revenue in all four of its divisions (Broadcast Networks, Cable Networks, Film, and Theme Parks) saw increases in 2012. The largest gains were made in the Broadcast Television division, which jumped 27.4% from the previous year. The broadcast numbers were aided by the network’s airing of the 2012 London Olympics and Super Bowl XLVI. Excluding these events from the numbers, the Broadcast division’s revenue still saw a 4.8% increase, driven by political advertisements on its Owned & Operated stations. The increased revenue from the political ads also helps explain the Broadcast division’s 7.9% increase in the fourth quarter of 2012 from the same period in 2011. NBCU’s Cable Networks division accounted for the company’s smallest increases in 2012 (3.3%), but generated the most revenue for the company ($8.8 billion). The NHL lockout hurt ratings for the NBC Sports Network during that time, which boasts NHL coverage as its key selling point. However, ratings for that network reached all-time highs once hockey returned . Advertising revenue decreased by 1.5% in the fourth quarter for NBC’s cable networks. On March 19, Comcast completed its purchase of GE’s 49% stake in NBCUniversal . The $16.7 billion deal also included the sale of GE’s headquarters at the famous 30 Rockefeller Plaza building to Comcast. The deal brings to an end GE’s involvement with NBC, which began in 1919 when the company helped found the Radio Corporation of America, which started the National Broadcasting Company in 1926 . Since then, NBC has been owned by GE, RCA, Westinghouse, Vivendi and now Comcast. Watch Wall Street Journal Live’s analysis of the deal below (video courtesy of YouTube). For the first time ever, NBC fell out of the top four networks during a sweeps period conducted by Nielsen . Univision, the Spanish language network, moved ahead of NBC as the fourth most watched network among adults ages 18-49 during the month of February. NBC struggled during that month, as its new show Do No Harm was cancelled after just two episodes, and the new comedy 1600 Penn struggled as well . Jimmy Fallon (right) will take over for Jay Leno (left) as host of “The Tonight Show”. …Jimmy Fallon? NBC announced in April that the Late Night host will replace Jay Leno on The Tonight Show starting in 2014 . Leno, who has hosted The Tonight Show for 22 years, took over for Johnny Carson in 1992. Leno was replaced by Conan O’Brien in 2009 , but returned only seven months later  after a feud with the network over a time for his new show. It is being rumored that Saturday Night Live head writer and “Weekend Update” host Seth Meyers will replace Fallon as host of Late Night. NBCU’s USA Network earned the best primetime ratings for a cable network in the first quarter of 2013, its eighth year in a row earning that honor . Popular programs such as Suits and WWE Raw helped the network win the quarter, defeating rivals with popular programs such as AMC and its hit The Walking Dead. USA averaged over 3 million viewers during the primetime slots. Another NBCU network, Bravo, also improved, making the top ten networks among viewers ages 25-54. The NBC Sports Network is posting record numbers this year for its NHL coverage . The network, formerly Comcast’s Versus, is averaging 448,000 viewers per game, up from its previous high of 348,000 viewers. The numbers may have gotten a boost because of the lockout that cut the season down to 48 games. National games airing on NBC’s broadcast network are also doing better, averaging 1.7 million viewers,just ahead of its previous tally of 1.6 million. The popular singing competition show, The Voice, has returned to NBC’s lineup, and has outperformed FOX’s American Idol so far . Although Idol‘s first two episodes earned stronger ratings than The Voice‘s, NBC’s program is gaining momentum, while FOX’s is seeing its lowest ratings in the 12-year history of the show. The show’s performance in the ratings for the remainder of the season may tell whether it will replace Idol as America’s favorite singing show. In March, USA allowed fans of its series Psych to choose the ending of the show’s 100th episode . The vote was part of a new online and mobile feature called USA Sync, an attempt by the network to use new media to add interactivity to its programming . The program allows fans to post about the shows, connect with each other, and play interactive games. On the mobile platform, the service is available as an app that gives users access to more content through other applications. The much anticipated new series Hannibal premiered on NBC on April 4. The series, about fictional evil genius Hannibal Lecter, serves as a prequel to the 1991 classic film The Silence of the Lambs. The show earned praise from Internet critics, with some calling it “riveting” , and others saying it was “beautifully shot and…surprisingly thoughtful” . Watch a promo for Hannibal below (video courtesy of YouTube). In March, E! named former VH1 executive Jeff Olde head of its programming . Olde will be in charge of the development of E!’s shows, including Keeping Up With The Kardashians, The Soup, and Chelsea Lately. Olde will begin his new job this summer. Twentieth Century Fox Film Corporation is a subsidiary of Fox Inc., owned by Rupert Murdoch’s News Corporation. 20th Century Fox Film Corporation’s motion pictures are produced or acquired by the company’s smaller units, including: Fox 2000 Pictures, Fox Searchlight Pictures, Fox International Pictures, Twentieth Century Fox Animation and Blue Sky Studios . 20th Century Fox was funded in 1935 with the merging of the Fox Film Corporation and Twentieth Century Pictures. It was co-founded by Joseph Schenck, president of United Artists, and Darryl F. Zanuck, former head of production at the Warner Bros. Studio. The company separated itself from others, as the productions of The Grapes of Wrath in 1940 and How Green Was My Valley in 1941 won Academy Awards. However, by the 1950’s, movie attendance dropped, bringing film productions down as well. Consequently, studios couldn’t afford to keep contracts with directors and actors. This event of disappointment led to Zanuck leaving to Paris in 1956, striving to become an independent film producer. The company lost huge amounts of money in between the years of 1959-1962. In 1962, Zanuck returned as president, and his film The Longest Day, released through 20th Century Fox, got an Academy Award nomination and earned enough revenue for the company to start producing again in 1963. During the 1960’s, Zanuck used the “blockbuster strategy”, consisting of releasing expensive productions. The Sound of Music, released in 1964, brought more than $79 million in revenues. The 1980’s were hard times since many productions didn’t compensate for their production costs. However, with the entrance of Rupert Murdoch, owner of News Corporation, in 1985, the company made it to the top spot among studios, gaining more than 18% of the box-office share in 1991. In October 5, 2012, the awaited Taken 2, starring Liam Neeson, was released, making $49,514,769 in its opening weekend . Despite all of the critics, Taken 2 was the reason the overall box office was up more than 40 percent over the same weekend last year . The movie scored $361,060,485 worldwide, showing strong results for a $45 million production . As the storm passes, Wreck-It Ralph came to the #1 spot in its opening weekend with $49,038,712 . This movie has actually become the biggest box office ever for Disney Animations . After five weeks in theaters, it still maintains itself in the top ten, recording a total domestic gross of $159,213,887 and a worldwide gross of $203,213,887 (as of December 5, 2012) . The next movie for Fox is called Parental Guidance, which was supposed to be released during the Thanksgiving weekend but will now be released December 25th, 2012. The movie has high expectancies as it has less competition during Christmas than what it would’ve had during Thanksgiving . DreamWorks has decided to shift from Paramount Pictures to 20th Century Fox looking for a 5-year distribution deal. This deal will place DreamWorks’ animated titles in Fox’s animation division, Blue Sky Studios. This deal will go into effect in 2013. In order to increase movie downloads, Fox has decided to offer the option to downnload movies through Amazon, CinemaNow (Best Buy), iTunes, PlayStation, VUDU (Walmart), and Xbox, before the home video or DVR formats are available. Sony Pictures, Twentieth Century Fox Film Corporation, and Universal Pictures signed on to apply the ‘Producer’s Mark’ Certification. This is a huge advancement in the industry and a step forward to protecting the right of producers and the ‘produced by’ credit. Plans had been made by 20th Century Fox to produce a 3D adaptation of the 1996 blockbuster, Independence Day. However, due to difficulties in reuniting the original cast, the company has decided to cancel it. The movie was due for July 2, 2013, which was perfectly timed for it to be released during the Independence weekend. This would’ve potentially help the movie top the box office during the opening weekend and gain high revenue for the company.